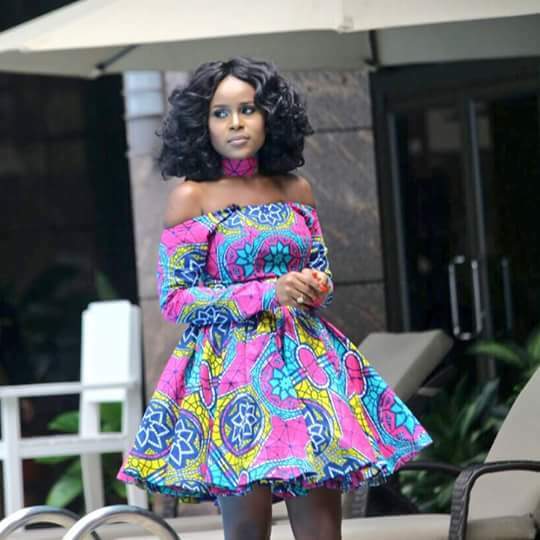 Media personality, Berla Mundi has disclosed that hosting this year’s edition of the Ghana Music Awards which came off last Saturday “meant the world” to her. Berla and actor, John Dumelo, took on the hosting duties this year and she did great. In previous years, she was one of the hosts for the Red Carpet sessions of the awards scheme. The Late Afternoon Show host told Showbiz in an interview, she is grateful that she was given the opportunity to host Ghana’s biggest music awards event. “It meant the world. This is my biggest stage ever since I started,” an excited Berla said. “And it just meant that Charterhouse, VGMA and Ghana at large had come to accept me as someone they could trust enough to host such an event and so it meant the world to me. I’m always grateful for that,” she added. In the short time that Berla Mundi has been in the media space, she has grown to become one of the most sought after events hosts in the country with her bubbly personality and flawless English. She has hosted events like the Miss Malaika pageants in the last few years and was a co-host for last year’s MTN Hitmaker talent show along with Starr FM’s Giovanni Caleb. Berla revealed that thinking of how to make the VGMA a great show not only for herself and Ghanaians helped in her excelling on the night. Berla expressed her appreciation to Charterhouse, Vodafone and the Ghana Music Awards team for trusting her to host the show. She was optimistic about doing “better” should she be asked to host the next edition in 2019.